There is every activity to try in Herefordshire including pottery making, creative writing, walking, mountain climbing, shooting, felting, cooking and upholstery to name but a few. Take a peak at our ideas for Active & Creative Breaks in Herefordshire. 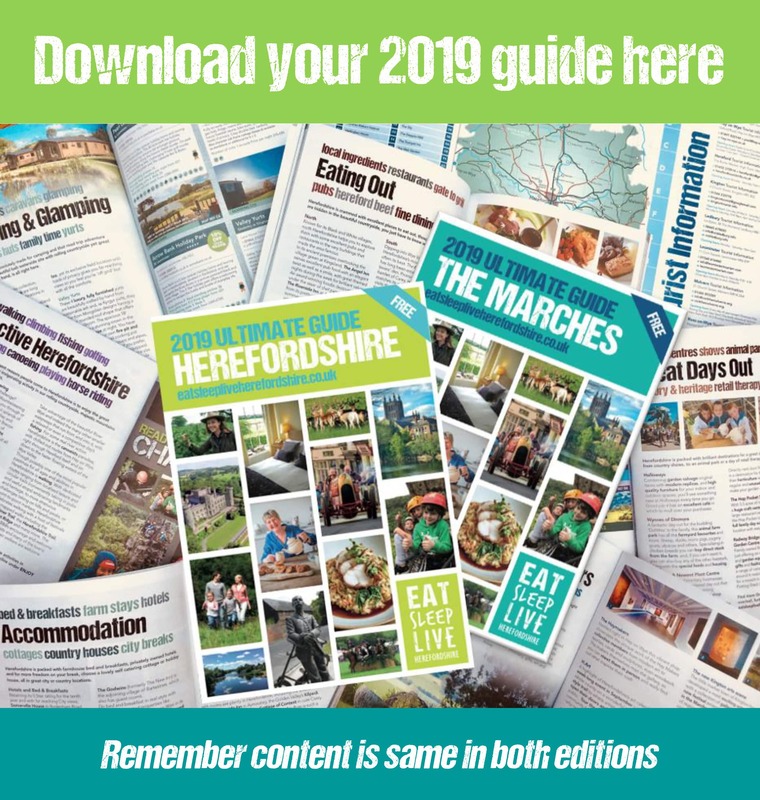 For more great ideas use our handy Great Combo Destinations in Herefordshire Guide. Laserclayz is part of Battlelands, a family run activity centre based in the Herefordshire hills offering three great activities; Paintball, Laser Clay Shooting & Splatmaster. Laser Clay Shooting is an outdoor hi-tec electronic version of the countryside sport of clay pigeon shooting, with each player using a modified shotgun to fire infrared laser beams at real clays launched from a real clay trap. It is an activity which can be enjoyed by everyone whatever their age or ability. Unlike clay pigeon shooting there are no dangers to be worried about, it gives no kick back, no loud bangs and leaves no mess behind. The system is run by batteries so needs no electricity, its therefore portable and can be played anywhere. Invite Laserclayz to your property or to a holiday home your staying at, they can even entertain your wedding guests. Its the perfect activity for any kind of celebration, family get together or team bonding. Group sizes of 6 to 30 work best but they can accommodate any group size. A usual session lasts for 1 to 2 hours, with 3 to 4 team games followed by an individual round. Who will be crowned the hotshot of the day? Also see Battlelands. Battlelands is a family run activity centre based in the Herefordshire hills offering three great activities; Paintball, Laser Clay Shooting & Splatmaster. The perfect venue for birthday parties looking for a memorable way to celebrate; corporate and school groups who are looking for team building; hen, stag parties; plus groups of friends who’d like to break out of their normal routine with an action-packed day out. All group sizes can be accommodated with activities for those who are 8 years upwards. The on-site Glamping area, Up On A Hill, can be booked exclusively and offers three luxury lotus belle tents and a shepherd hut. Stay, Play and Partaaay !! Also see Laserclayz. Set in beautiful countryside, HS Activities is perfectly placed for a rural day of activities in Herefordshire, making some noise and letting off steam. The five acre site is dedicated to playing Paintball, Clay Pigeon Shooting, Archery, Laser Tag and Air Gun Shooting, all in a safe and enjoyable environment. With plenty of off-road parking and supervision by enthusiastic and energetic marshals, this is an ideal location for a group activity, corporate team building or fun day, family group or a friends get together. Stag and Hen parties are very welcome. What’s more, the holiday cottage complex that adjoins the activity site, at Much Dewchurch Holiday Cottages, is perfect to make it a longer break or corporate exercise, with its group accommodation capacity if required. There is even a pub conveniently just down the road to delight one another with all your tales of bravery at the end of a hard day’s play. Find out more from the friendly team on: 01981 540008. Visit website.